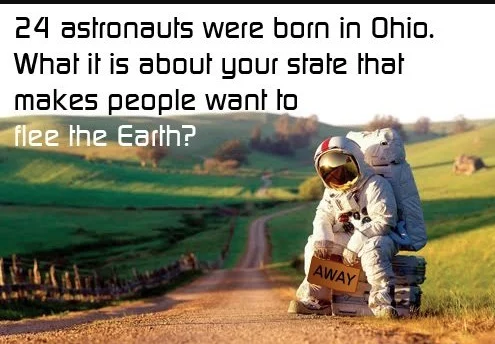 My mom’s side of the family is from Ohio. I know that is a difficult topic to broach this week with the Wolverines heading to the Horseshoe on Saturday, but I mention it because growing up we’d pack up the car and head to my grandma’s house in Ohio for Thanksgiving. I always loved Thanksgiving when I was younger. Good food. Family that we don’t get to see all that often. Football. And when I was a kid – time off from school. I still love Thanksgiving, for the same reasons. Food, family, and football. And instead of time off from school, now it is time off from work. It’ll be nice to have the stock market closed on Thursday – it is guaranteed not to go down! Indeed, the stock market has been volatile lately. October pretty much erased all of the gains for the year. At our staff meeting this week, we reflected that we might need to remind folks that the stock market can actually go down. For almost 10 years it has mostly gone up. In fact, this past week we were contacted by two institutional clients who both asked why their accounts went down in October. As much as I’d like to take credit for the long bull market, I cannot. But likewise, I cannot stop the market from going down, either. Markets move. They go both up AND down. First, it’s good to remember that markets move in cycles. Boom. Decline. Bust. Recovery. Then back to boom. We’ve been in the boom phase for quite a long time. We may be on to the way to the decline phase. Longtime clients and readers will know that I always talk about time horizon. If you need some money in the short term, we should build a cash position so we don’t have to sell stocks when the market might be down. And that is still good advice. So, if you’re going to need some cash in the next two years, be sure to give us a call so we can update your asset allocation. We also like to rebalance portfolios from time to time to get things back to our target allocation. Now is a great time to do that. We just might be able to lock in some gains, too. Risk tolerance is another consideration that we focus on. If your tolerance for risk has changed, we might need to dial back the allocation. One other strategy to consider, though, is to build a cash war chest. If we do hit the decline phase, or even the bust phase, we might want to be ready to buy more equities. Bottom line, markets move. When you open your statements, you might see a decline for the first time in a long while. But remember that it is healthy for markets to adjust. We can help you determine the right mix for your situation. One last thing to consider. Financial planning can help you feel comfortable to know that you are on the right track regardless of market fluctuations. To learn more, give us a call. *I actually love my family from Ohio. Please don’t tell anyone, but I’m secretly hoping their team proves to be victorious this weekend. I may have graduated from Albion, but I bleed Spartan Green!